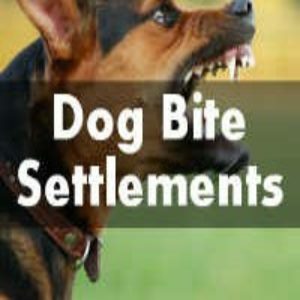 There are a number of factors that determine a Michigan dog bite settlement. The two biggest factors are liability and damages. There are multiple legal theories to recover for a dog bite. First, there is the Michigan dog bite statute– specifically MCL 287.351. According to this law, if a dog bites a person without provocation, and that person is not trespassing, the dog owner is liable for all damages that accrue from the dog bite. This is the case even if the dog had never displayed any vicious propensities prior to the bite.The only defense to the dog bite law is provocation. If the dog bite victim provoked the animal, the dog owner is not liable. However, it is incumbent upon the dog owner to prove provocation and the standard is high. A claim under statute is strict liability which is easier to prevail in court. Second, Michigan dog bite or dog attack cases can also be brought by proving negligence on the part of the dog owner. If the dog owner created a dangerous situation that was foreseeable, and this situation leads to injury, the dog owner can be held liable for causing the injury. The homeowners insurance company typically pays for dog bite claims for the dog owner. Most dog bite claims are settled with the insurance company at the claims stage. This means the claim is settled between your attorney and the insurance adjuster without having to go forward with a lawsuit. A settlement brochure is prepared. The settlement brochure or package includes a summary of the facts, medical records, medical bills and photographs of the injury and scarring. The insurance company for the renter or homeowner evaluate the liability (likelihood of winning) and the extent of damages and agree on an amount. The more serious the damages the larger the settlement amount. Scarring on the face, severe bites and attacks, and cases involving children will result in higher settlements.